Ruth and I are giving the Berkeley brown bag this Wednesday; it should be fun. I wish I had more time to make movies. Advances in social media allow archaeologists to interpret, transmit, and remix archaeological data in new and exciting ways. In engaging with these new technologies, archaeologists reflexively interact with the archaeological record and with the greater public. Along with this expanded potential there are considerable problems when these new technologies are applied without an understanding of new media theory and its utility in conceptualizing digital data in the social world. 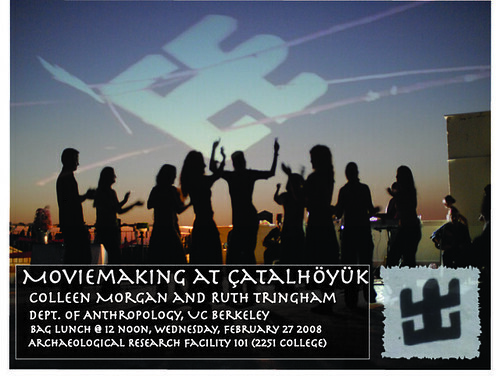 Using current projects performed at the Presidio of San Francisco and from Çatalhöyük, I will provide examples of simple, inexpensive, and practical ways to integrate new media practice into archaeological methodology at all stages. Finally, I will critically examine future directions for new media practice in archaeology. I might withdraw this abstract though, as it’s for my own session, which is over-full with 8 papers. Scroll down for the first WAC abstract. Submitted to the “Experience, modes of engagement, archaeology” session organized by Krysta Ryzewski, Matt Ratto and Michelle Charest. Virtual reality has been a “killer app” within the realm of archaeological computing, as evident from the number of books, journals, and conferences dedicated to the subject. Though often presented as a single entity, virtual reality is more of a spectrum, from the fully immersive environments famously posited in William Gibson’s Neuromancer to telepresence, or the space “where you are when you’re talking on the phone” (Rucker, et al. 1992). In this paper I will explore the range of these offerings and discuss their relative merit as interpretive and heuristic devices by asking a few uncomfortable questions. Should the people of the past serve as your digital tour guides? Is sitting behind a computer screen truly interactive? What do people learn about archaeology by walking through a virtual model? Does virtual reality contribute to a social archaeology? Finally, I will argue for an augmented reality model for interpretation in archaeology. This is the first of my two abstracts for WAC. I’m not deeply happy with them, as they were both dashed off during this completely exhausting week. I’ll post the other one tomorrow–but for now, beer. 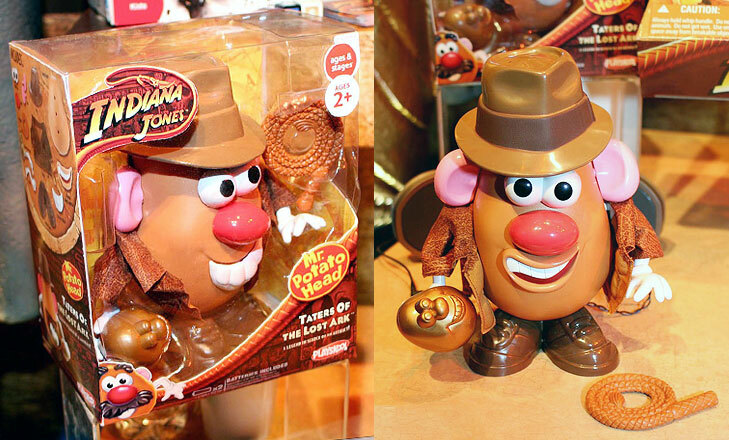 I love that his idol is another potato head. More Indiana Jones toys here. It was lunchtime, and Tina and Colleen went with Rigden down the road to a gas station to use the bathroom. I decided to walk down a two-track along the railroad, far enough from the road to pee in private. While walking back, I noticed some stuff lying under a prickly pear cactus and decided to check it out (it was a pile of clothes). Suddenly, several things happened at once. I felt a sharp, burning pain in my left ankle. I heard a rattle. I glanced out of the corner of my eye and saw a rattlesnake, mouth open, retreating from a bite. I realized that I was in mid-air, jumping sideways away from the snake, totally subconsciously. And then it hit me: I had just been bitten by a rattlesnake! Happy anniversary, John! And wear your snake guards!